Explore the numerous day-trip ideas around Anaheim: Santa Monica (Santa Monica Pier & Magicopolis). 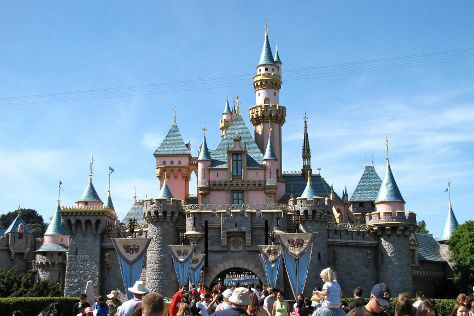 Have a day of magic on the 21st (Sat) at Disneyland Park. Have a day of magic on the 22nd (Sun) at Disney California Adventure Park. Next up on the itinerary: discover the magic at Downtown Disney. To find other places to visit, photos, reviews, and other tourist information, go to the Anaheim trip generator. Sydney, Australia to Anaheim is an approximately 18.5-hour combination of flight and bus. Traveling from Sydney to Anaheim, you'll gain 18 hours due to the time zone difference. When traveling from Sydney in October, plan for somewhat warmer days and about the same nights in Anaheim: temperatures range from 33°C by day to 19°C at night. Finish your sightseeing early on the 24th (Tue) so you can travel to Las Vegas. Change things up with a short trip to Hoover Dam in Boulder City (about 42 minutes away). 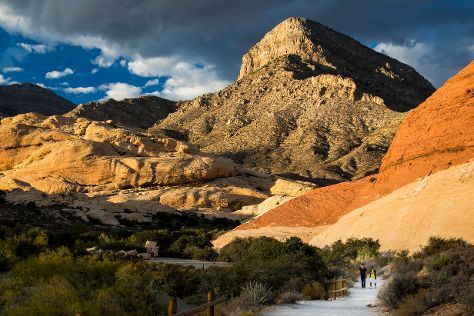 There's lots more to do: take in breathtaking views at Red Rock Canyon National Conservation Area, try to win big at The Venetian, admire the natural beauty at Bellagio Conservatory & Botanical Gardens, and admire the local landmark of Bellagio Fountains. For traveler tips, reviews, more things to do, and other tourist information, read Las Vegas itinerary maker. You can do a combination of bus and flight from Anaheim to Las Vegas in 3.5 hours. Other options are to drive; or take a bus. In October, daily temperatures in Las Vegas can reach 32°C, while at night they dip to 18°C. On the 29th (Sun), you'll have the morning to explore before heading off to Mexico City. Explore the numerous day-trip ideas around Mexico City: San Juan Teotihuacan (Pyramid of the Sun & Zona Arqueologica Teotihuacan). Next up on the itinerary: see the interesting displays at National Museum of Anthropology (Museo Nacional de Antropologia), take an in-depth tour of National Palace (Palacio Nacional), delve into the distant past at Templo Mayor Museum, and make a trip to Zocalo. 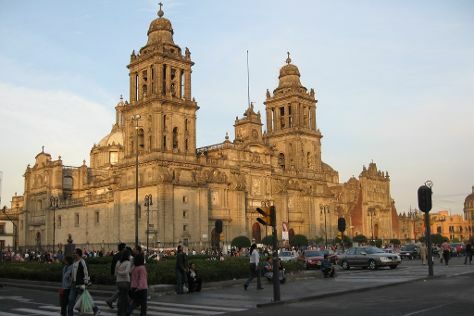 For more things to do, other places to visit, and tourist information, refer to the Mexico City trip itinerary maker. Traveling by flight from Las Vegas to Mexico City takes 7 hours. Alternatively, you can drive; or take a bus. The time zone difference moving from Pacific Standard Time (PST) to Central Standard Time (CST) is 2 hours. Traveling from Las Vegas in October, things will get a bit cooler in Mexico City: highs are around 27°C and lows about 13°C. Wrap up your sightseeing on the 2nd (Thu) to allow time to travel back home.